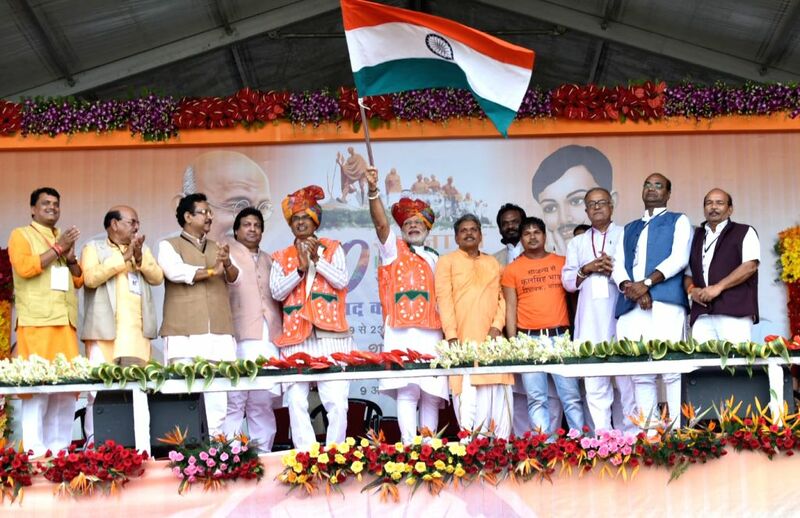 Alirajpur: Prime Minister Narendra Modi flaggs off the Tiranga Yatra to mark the launch of 70th Freedom Year Celebrations, in Bhabra village, Alirajpur district, Madhya Pradesh on Aug 9, 2016. Also seen Madhya Pradesh Chief Minister Shivraj Singh Chouhan and other dignitaries. 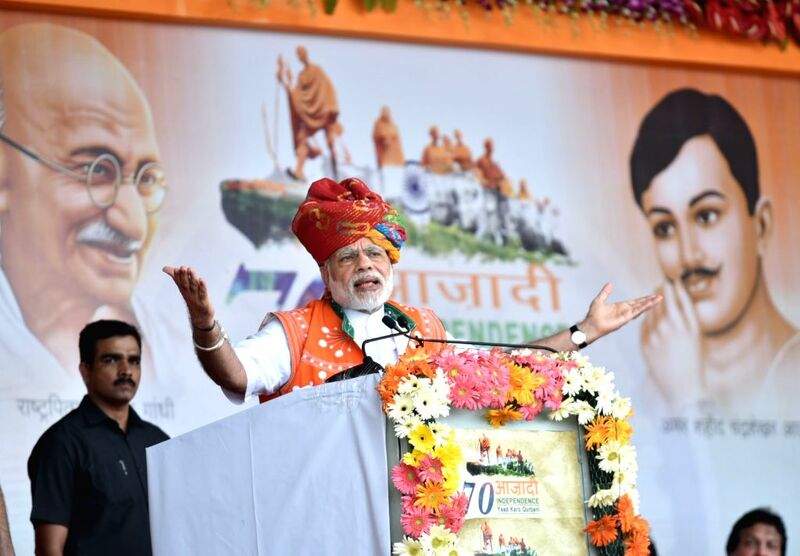 Prime Minister Narendra Modi addresses at the public meeting to mark the launch of 70th Freedom Year Celebrations, in Bhabra village, Alirajpur district, Madhya Pradesh on Aug 9, 2016.